Increased knowledge of how gut bacteria ratios change as a marker of inflammation could help delay the development of Type 1 Diabetes. 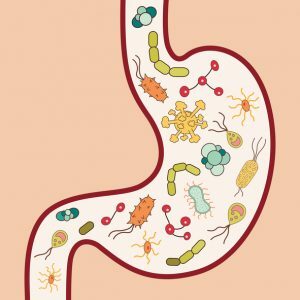 Researchers from the University of Queensland proposed that monitoring the microorganisms living in the gut may aid in understanding the disease better as a whole. Research on the topic is new and fairly undeveloped. However, there are plans to carry out further research on the bacteria associated proteins, analyzing why they may signify an increased risk of Type 1 Diabetes expression. The researchers are hoping to use this microbial information to monitor disease progression or develop therapies aimed at restoring a healthy microbiota in people at risk of type 1 diabetes. Read original article in Diabetes Care – Intestinal Metaproteomics Reveals Host-Microbiota Interactions in Subjects at Risk for Type 1 Diabetes – Diabetes Care 2018 Aug; dc180777. And visit Monitoring gut changes could help delay type 1 diabetes.